Deacon Radcliffe’s book is designed with a threefold purpose. First, it will seek to demonstrate that racism is a disease, a mental illness. Its symptoms are similar to those of the disease of alcoholism. Second, it shows how racism, like alcoholism, has not been proven curable at this point in time. However, like alcoholism, it is treatable. Its symptoms can be arrested. 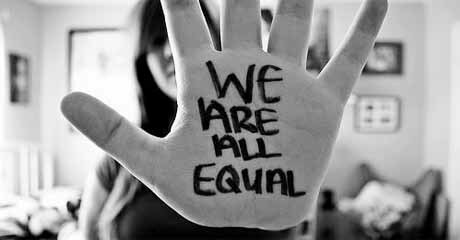 Racial discrimination is an evil that exists in many parts of the world. An important part of the book on the origin and role of the Black Church’s resistance to racism that is discussed, serves to showcase a long-standing and infamous historical instance of racism’s development and the fight against it. Racism on the North American continent, though, serves as a relevant model on which the 12-step program can be applied. In the right hands, this book will become an insightful strategic tool to help experts and professionals, even ordinary individuals, deal with this cruel disease. “Applying Alcoholics Anonymous Principles to the Disease of Racism” is a must read for those who advocate equal rights, justice and fair treatment. Kenneth L. Radcliffe’s powerful new book “Applying Alcoholics Anonymous Principles to the Disease of Racism” will be featured at the 2013 New York State Reading Association Book Exhibit in Albany, New York. Kenneth L. Radcliffe is a Permanent Deacon for the Archdiocese of New York. He served as an Administrative Chaplain, (Retired), for the New York City Department of Correction. His assignments included Rikers Island, detention centers, in the Bronx, Brooklyn, and Manhattan Detention Center, MDC, also known as “The Tombs.” He is a trained Substance Abuse/Addictions counselor and is also a New York State Certified Recovery Coach. He has worked as a Case Manager in a Homeless Shelter, and conducted relapse prevention programs for licensed outpatient drug and alcohol treatment programs. He is the author of two reports soon to be published, “The Crisis of the Poor in Black Urban America and a Challenge for the Church!” (The Deacon’s Report). The Second is “The Crisis of the Poor in Black Urban America, the Challenge for a President and Corporate America!” (The Deacon’s Report).